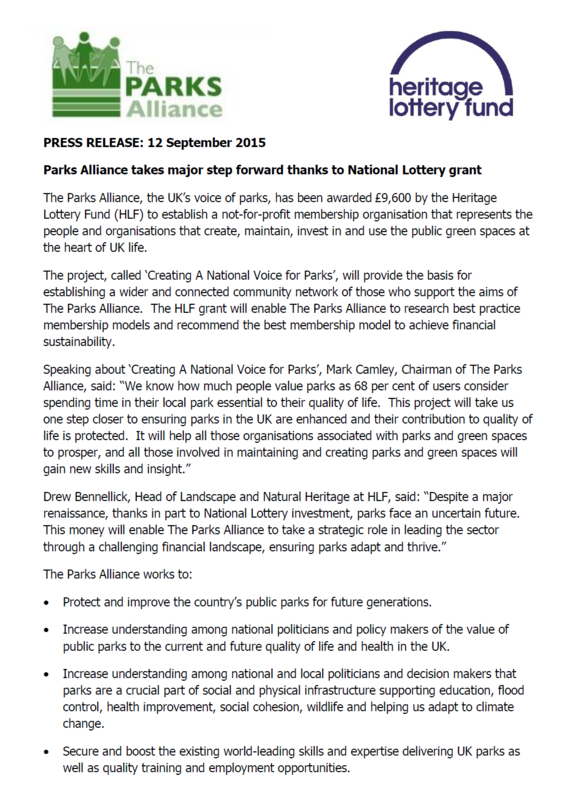 The Parks Alliance, the UK’s voice of parks, has been awarded £9,600 by the Heritage Lottery Fund (HLF) to establish a not-for-profit membership organisation that represents the people and organisations that create, maintain, invest in and use the public green spaces at the heart of UK life. The project, called ‘Creating A National Voice for Parks’, will provide the basis for establishing a wider and connected community network of those who support the aims of The Parks Alliance. 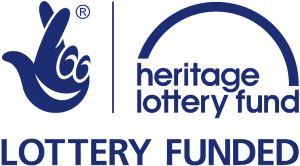 The HLF grant will enable The Parks Alliance to research best practice membership models and recommend the best membership model to achieve financial sustainability. Protect and improve the country’s public parks for future generations. Increase understanding among national politicians and policy makers of the value of public parks to the current and future quality of life and health in the UK. Increase understanding among national and local politicians and decision makers that parks are a crucial part of social and physical infrastructure supporting education, flood control, health improvement, social cohesion, wildlife and helping us adapt to climate change. Secure and boost the existing world-leading skills and expertise delivering UK parks as well as quality training and employment opportunities. Influence national, regional and local policies and funding decisions that impact on parks.